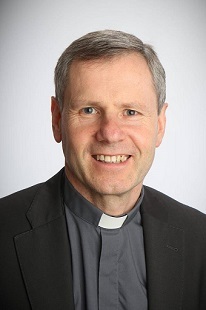 Pope Francis has appointed a Dublin priest, Fr Fintan Gavin as the new Bishop of Cork & Ross. Fr Gavin takes over the role from Bishop John Buckley, who has served as Bishop for more than 20 years. Bishop-elect Gavin concelebrated Mass this morning in the Cathedral of Saint Mary & Saint Anne with His Excellency the Apostolic Nuncio to Ireland, Archbishop Jude Thaddeus Okolo; Bishop John Buckley and with priests of the diocese.